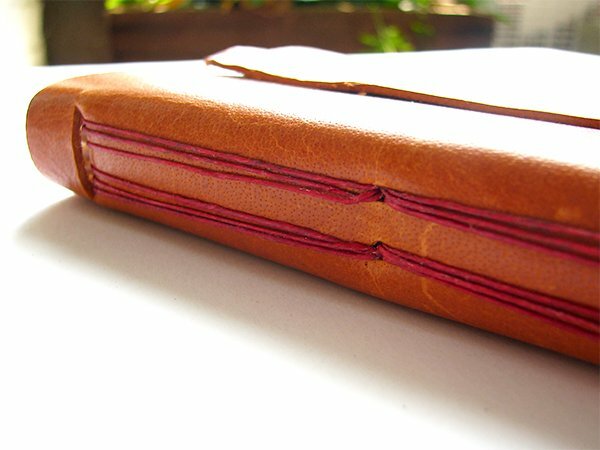 Lately, I’ve been creating an inventory of leather journals for my Fall and Holiday open studios. This one’s a new design and number 23 in the 50 Book Project, my one-year project to create 50 unique bindings. 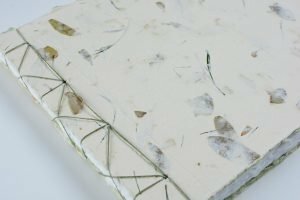 The rustic calf leather book measures 5″ x 7″ with 48 Mohawk Superfine pages and is bound with a 4-ply waxed linen thread. 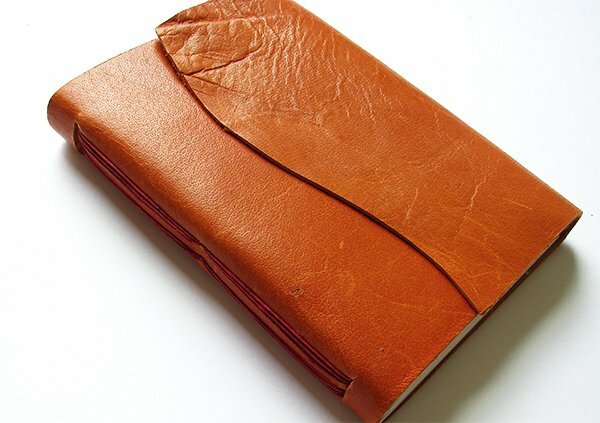 What’s your favorite ways to bind leather journals? Let me know in the comments. To receive updates on my new books and tutorials, please sign up for my newsletter.